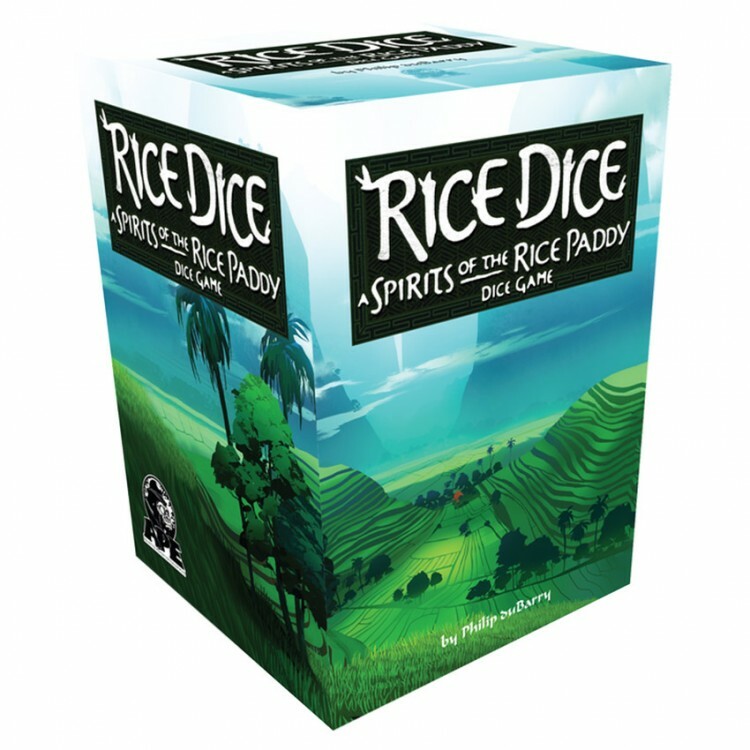 Rice Dice is a streamlined dice game version of Spirits of the Rice Paddy. Players familiar with that game will feel at home with Rice Dice. New players will find Rice Dice to be a great introduction to its big brother. Roll the custom dice and choose one action based on the results: Add rice paddy cards to your field using the card action, run water through your paddies, or assign laborers to plant and harvest. Harvesting gains players rice, which is essential to winning, but paddies with weeds produce less rice so it’s essential to assign laborers to keep paddies clean.